Desi Smith/Staff Photo. 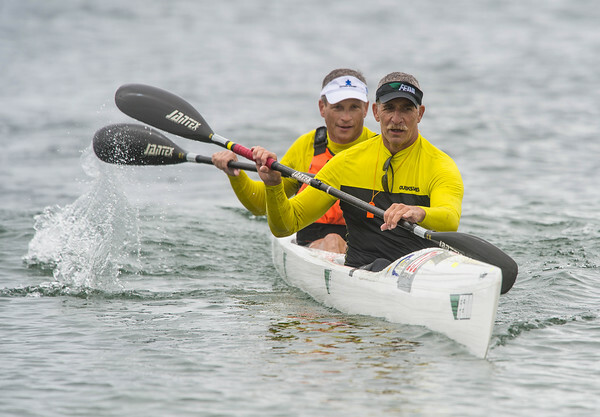 Jim Hoffman (front) and Steve Delguadio of the Washington Canoe Club of Washington D.C, reach the finish in their Double Surfski at Pilvilon Beach in the Blackburn Challenge held Saturday morning. July 25,2015.